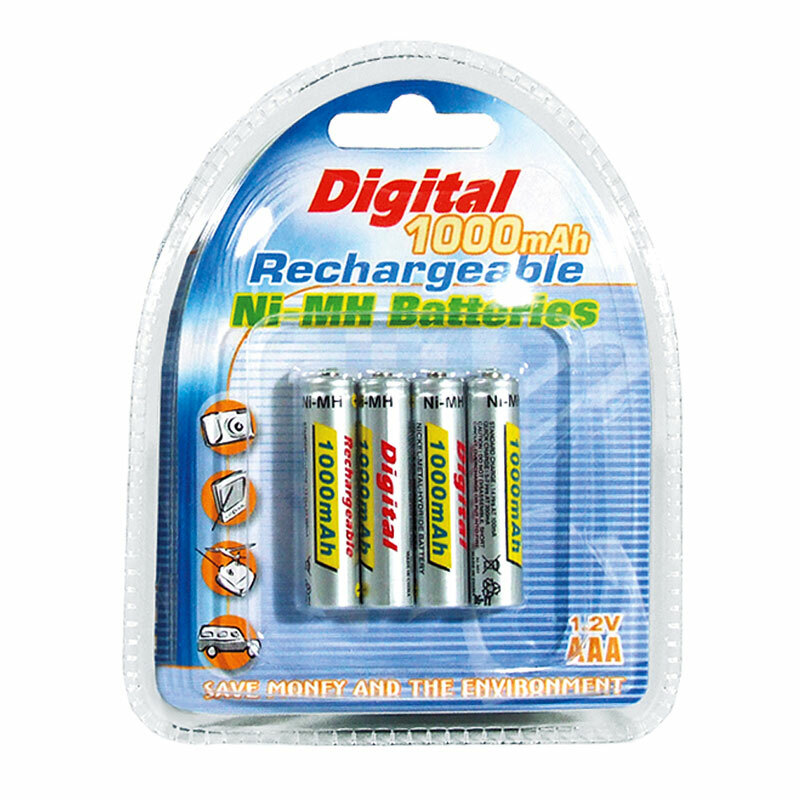 NiCd Rechargeable AAA (Triple A) Batteries. Nickel-Cadmium. 300mAh. 1.2V. Package of 4.